We help you become the filmmaker you want to be. It's fine if you've never picked up a camera as long as you have something to say. We're looking for students with a point of view that they're excited to share. We're looking for people who like to tell stories... on paper, on camera or around a dinner table. One of the great satisfactions in teaching is helping students discover what they are truly capable of and showing them they can do better than they ever dreamed. Our faculty has all worked in the industry, many with 30+ years of experience. There's no question a student can ask that we can't answer. All our teachers are deeply interested in the students' learning and welfare and joy at being in a building full of people who want to make movies and television. With a 250 seat theater / sound mixing stage, we're the only school in the world whose students learn to mix in Dolby Atmos. 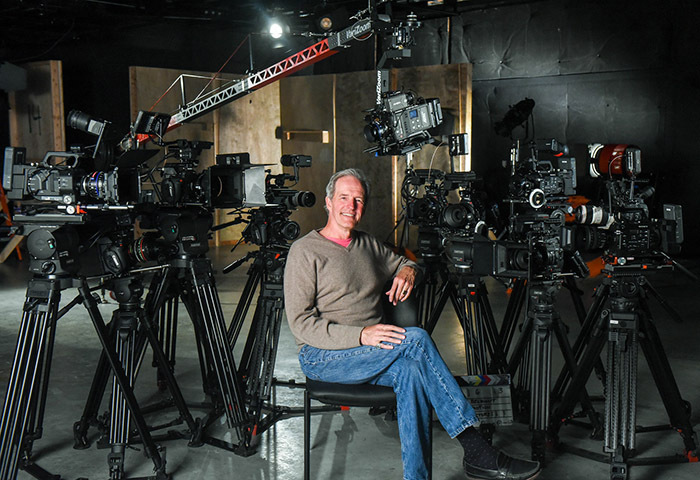 We've got top of the line cameras, including the Arri Amira, superb lighting and grip gear. Students also have access to a 50 seat theater / mix stage, a mix studio with Avid S6 console, color correction suite, 4K edit bays, a 2,500 square foot sound stage and a Foley / ADR stage. Our students hit the ground running, shooting and editing films their first semester. There's no way to make art that is more collaborative than getting a crew together and making a movie. Filmmaking is hard. It's also fun, and, the harder you work, the more fun it is.